These are lyrics by Charlie Daniels Band that we think are kind of funny. 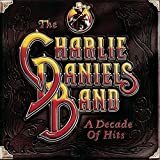 Charlie Daniels Band's, "Uneasy Rider"
This has to be one of the funniest songs ever written. Just the way Charlie delivers those lines is hilarious enough.